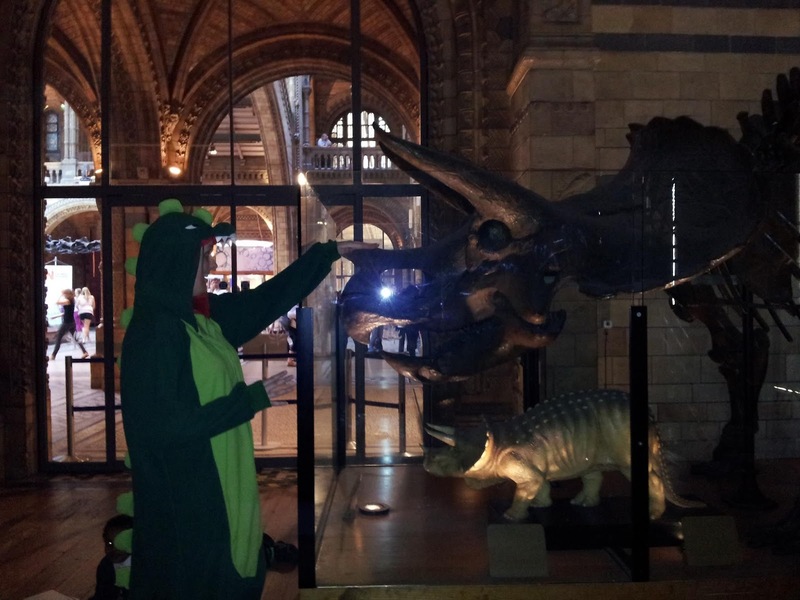 Each month we give away a £50 voucher to our favourite animal costume photo. Here are some the recent entrants. Send us your pics too to enter! 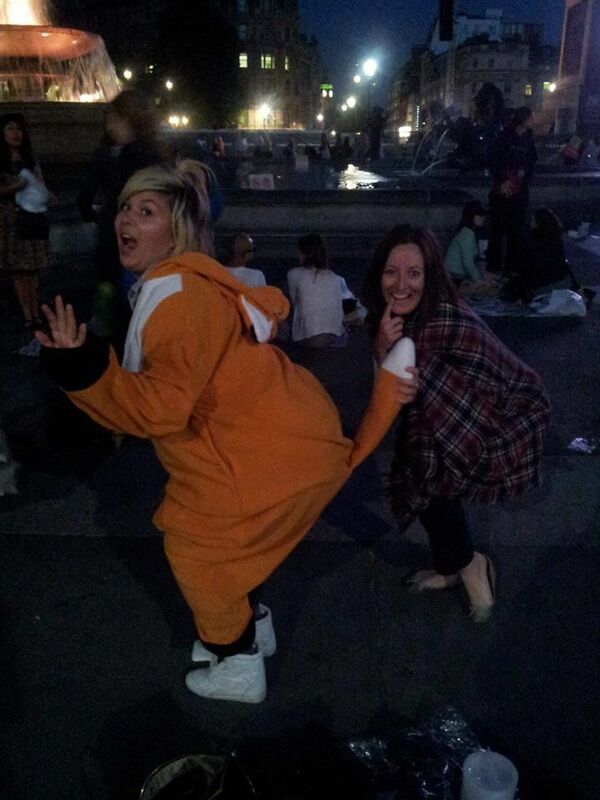 Thanks to Rose for sending us this photo, featuring our pink unicorn kigurumi costume. It was taken on her 30th birthday, apparently. Thanks also to Rose (a different Rose) for sending in this photo featuring her friend wearing our fox kigurumi costume. Thanks to Nancy for sending in this festival tiger costume photo. 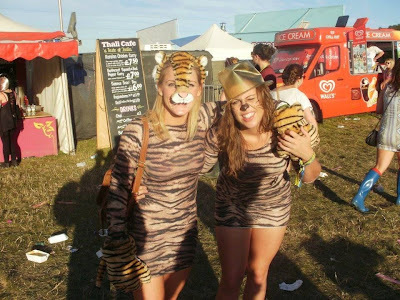 We're often asked if homemade and makeshift animal costumes can be entered into our competition. The answer is an emphatic 'YES!'. 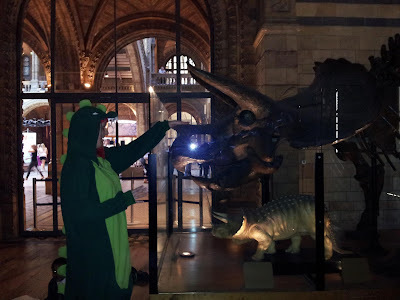 Mooshu sent us this photo, dressed in a dinosaur kigurumi costume and meeting the ancestors. And lastly, for this week at least, thanks to Matt who sent us this pillow fight action shot, featuring our tiger kigurumi costume.